What are the most important things to small businesses in terms of marketing? The answer is revealed in a study of more than 700 small and medium sized businesses in America and Europe. The most important things are “word of mouth” and “telephone calls”. So guess what those small business owners plan to spend more time and money on during 2015…? You guessed it, Internet marketing. The very people who value offline marketing the most are going to spend more money with online marketing, especially search engine optimisation. Indeed, four out of ten small businesses in the survey spent the majority of their marketing budget on Internet marketing, yet only a third of the businesses felt that such activity was really effective. 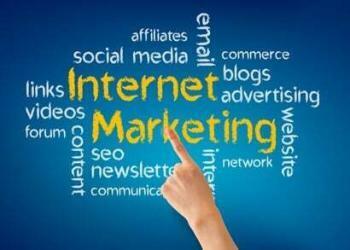 A quarter of businesses said that Internet marketing was not at all effective. Clearly there is confusion within the small business community. At one stage they are singing the praises of online marketing whilst also saying that offline activity is the most productive for them. The situation is due to the psychological impact of “ease of use”. When we find something easy to use we tend to do more of it and we also tend to be positive towards it. A recent survey on email marketing found a similar effect. It is relatively easy to find some keywords online, create some content using those keywords and then see our pages shoot up the search engines. It feels like success. So we believe it is valuable. It is easy to do, easy to get some kind of results and therefore we value it. However, generating word of mouth recommendations that lead to appropriate phone calls is not easy. Besides which it can take a long time to achieve anything. As a result, we tend to feel this is tedious and difficult, so we avoid it. Yet, in their hearts, small business owners clearly know the value of word of mouth and phone calls to their company. After all, they see the financial results of such activities. But they also find Internet marketing relatively easy to do – often much easier than traditional marketing. Researching keywords, producing content, promoting things on social media all feels like activity and it can produce instant gratification. Consequently, small business owners believe they are achieving. The problem is, they are not. Activity for activity’s sake is not the same as producing profit. Small businesses are going to invest more time and money into Internet marketing this year at the same time as saying they value offline marketing. That contradictory and confusing position comes from the fact that online marketing tools produce a sense of achievement. But the real sense of achievement for businesses should come when the bank balance increases. Some small business owners need to refocus, perhaps…?